I know, I know, two posts in one day, it's crazy. And yes I'm still at work so I have to make this quick, but how could I not post this picture that karin sent to me at work to brighten my day (as she does almost every day)? Since Liam is the product of our mixed marriage (karin is a yankee fan and I am of course a Sox fan) team specific baseball gear is a no-no in our house but for the good of our relationship Karin became a Patriots fan in 1996 which means that patriots apparel is not only fair game but encouraged. Thank you Auntie Jen, Uncle Jon, Zach and Max for the wonderful surprise package. 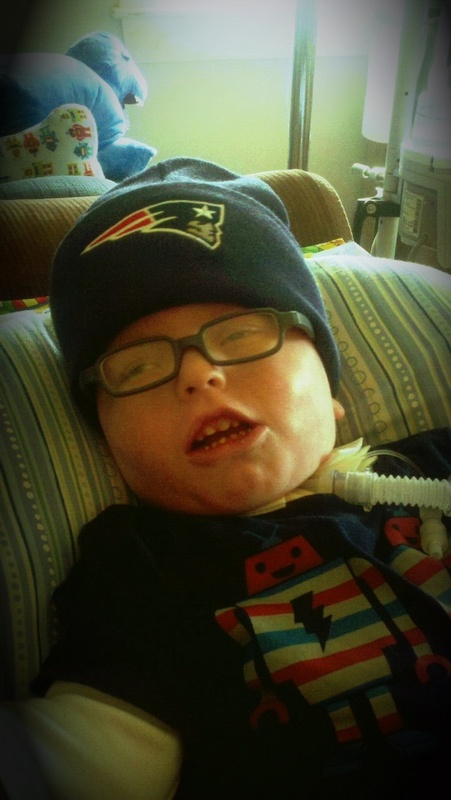 You really shouldn't have but he really is the cutest pats fan around.